Racing Victoria says Darren Weir can nominate horses for races ahead of a show cause hearing. 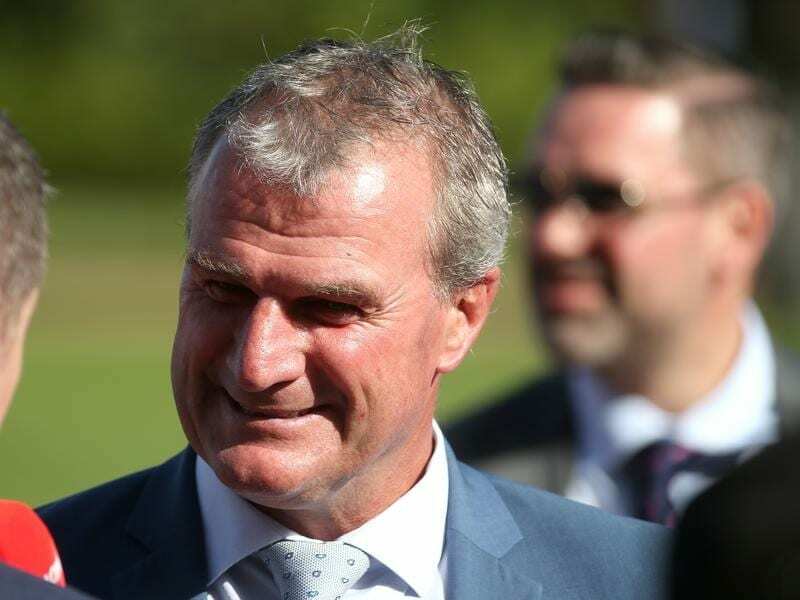 Trainer Darren Weir can nominate horses for the CF Orr Stakes meeting but a determination on whether they can start in his name will be made following a show cause hearing. Racing Victoria stewards charged Weir on Friday before commencing a show cause hearing which was adjourned to until Monday afternoon. Weir has been charged with possessing three taser-like devices known as jiggers and also with failing to give evidence to the stewards inquiry and conduct prejudicial to the image of racing. His assistant, licensed trainer Jarrod McLean who runs the Warrnambool stable, has also been charged with possession of a device and with failure to answer questions at the inquiry. Racing Victoria’s head of integrity Jamie Stier said the pair can nominate, but if something comes out of the show cause hearing horses that will change. “There’d have to be a transfer obviously,” Stier said. Vast numbers of Weir horses have left the trainer in recent days including Nature Strip and Extra Brut who were due to resume at Caulfield on Saturday. RV has been discussing putting on an extra trial at Cranbourne on Monday for those horses affected by their scratching at the weekend. “We would work out what that appetite was,” Stier said. Stier said RV had reached out to stable staff affected by the police and RV raids at Warrnambool and Ballarat. “Kirra Fitzgerald, our participant well-being manager, reached out to the stables yesterday (Friday),” Stier said. “It was to let them know RV had mechanisms in place and then Kirra and the team emailed each of the registered staff as a polite measure. Stier couldn’t shed any light on timeframe for Weir, McLean and registered stable foreman Tyson Kermond, charged with failing to give evidence, to appear before the Racing Appeals and Disciplinary Board. “That will become clearer during the week,” he said. “The charges relate to the evidence that is available to the stewards up to this point.